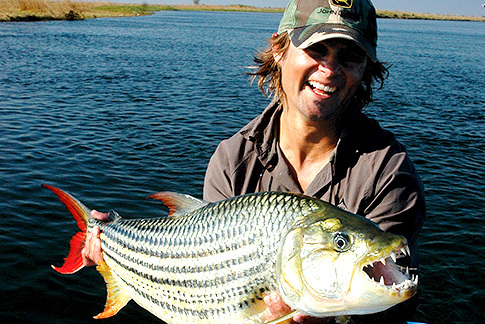 On holiday in Livingstone and want to do a spot of fishing? We have half day and full day fishing trips in Livingstone on offer to our clients! All equipment is supplied (except if you are a fly fishing person) and you will be collected from your hotel. Then it's tight lines if you're lucky! 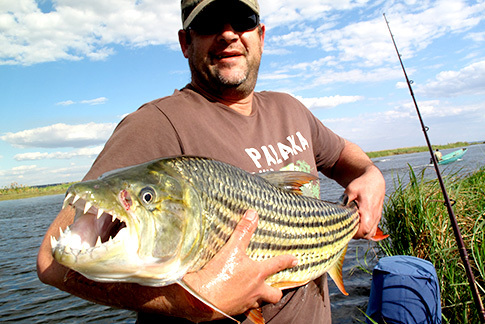 We target mainly the hard fighting tiger fish and predatory bream species that are endemic to the upper Zambezi River. *A minimum or 2 people per boat and a max of 4 people per boat. Prices are quoted per person sharing. A minimum or 2 people per boat and a max of 4 people per boat. Watch the Fishing video now!